The beauty of the sport of turkey hunting is that it is a sport in which no two turkeys are alike; hence no two situations or turkey hunters are alike. We are free (within the confines of state game laws and regulations) to develop our own methods, and are entitled to opinions regarding those opinions. There are certain areas of discussion that we get often asked about from our Facebook users as well as fellow turkey hunters we come into contact with. Many of these areas are simply matters of personal preference (i.e. using decoys), but some are cut and dry ethical or game law questions. As always, feel free to discuss these in the Facebook comments section below, as we are discussing only our point of view on these issues and want to hear your feedback. As noted in an article earlier this spring entitled “Are Decoys Hindering Hunters,” we have no question that the modern-day decoy is effective and should be used in certain situations, such as large fields in the Midwest. Our issue lies in hunters not learning woodsmanship, calling, and how to properly set-up on turkeys due to their overdependence on decoys. Learn to hunt without decoys, and you’ll be more successful with them. Should you feed turkeys before, during, and after the season? This is a complex question in that part of it depends with your states’ laws on feeding. Obviously, if your state prohibits feeding at any time-especially during the season-then do not do it. If allowed, we suggest trying to employ a “long-term” strategy that includes total property management (i.e. planting strips of Biologic’s Whistleback, planting chufas, trapping predators, prescribed burning, and more). Feeding should only be integrated as needed. The other management practices mentioned will hold turkeys on your property over a longer time period than a ton of cracked corn will. (Read "To Feed or Not To Feed"). 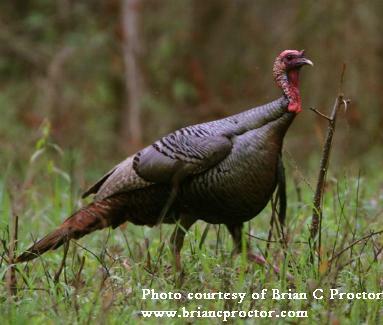 Do you jump property lines to hunt a gobbling turkey? The Wild Turkey is a noble adversary that the Wild Turkey Report staff has a tremendous amount of respect for. There are certain “rules of engagement” that govern the way we hunt turkeys, and observance of all game laws as well as private property is something we do not bend on. If you cannot call that turkey onto the land you have permission to hunt or cannot obtain permission to hunt that property, then do not jump the line. Doing so shines a negative light on our great sport and negates the efforts of those who helped bring back the wild turkey from near extinction. Just do not do it. Do you hunt out of blinds? This falls under the “chart your own course” distinction, and it really depends on how and where you are hunting. If you are Bowhunting for turkeys in a large cut cornfield, blinds are a must, as they conceal the movement produced by drawing your bow. If you are hunting in a pine plantation or hardwood bottom with a shotgun, then simply trust the Mossy Oak to conceal you! What about killing jakes or hens? In most states, killing jakes are fair game and thousands of juvenile gobblers are killed each spring, as well as in the fall season. I personally have not intentionally shot a jake since my first harvest, but I understand too that they invoke the same level of emotion for many turkey hunters as does a big hook-spurred longbeard. Hens, in my opinion, are a different matter. Because having an “overpopulation” of turkeys is rare due to the amount of predators that feast on wild turkeys, I personally feel even where legal, to let the hens live so they may procreate and produce more gobblers. Believe me, there have been more than a few hens that I wish I could have shot due to their interference in my gobbler hunt! What are your thoughts on these new choke and ammo combinations such as Nitro shells? The turkey loads and complementing choke systems that are on the market today have added at least fifteen yards on to the turkey hunters’ maximum range versus that we were able to achieve ten to fifteen years ago. As lethal as some of these products may be, it ultimately comes down to what you truly need. What I mean by that is this: if you are hunting the thickets of the Deep South, do you really need a gun/load/choke combo that can kill a turkey at 75 yards? No. You need a combo that you can him between fifteen and forty yards, simply because the chances are that the majority of your shots are going to be in that range. If you are hunting in big agricultural fields, then by all means have a gun you are comfortable killing one at sixty steps with. Just make sure that no matter what combo you decide upon, you know the maximum range in which you can make an ethical shot at. Crippling birds is no fun-trust me. Do you think "low crawling" or "bushwhacking" is unethical? I personally do not like to spot and stalk a turkey, simply because I like to call them in too much. In most cases, a spot and stalk is the ultimate test of woodsmanship, as it requires stealth and patience, but there are instances in which it is just like shooting a fish in a barrel. For instance, if a turkey is right under a lip of a hill and the wet leaves allow you to sneak up on him and ambush him, you really had an unfair advantage. So it really depends on the situation. Again, I do not personally do it, but I am also not going to fault someone for trying. Turkey Hunting: Are Decoys Hindering Hunters? Turkey Hunting: To Feed Or Not To Feed?